To celebrate the rise of their new queen, three goddesses of the moon created three stars, one of fire, one of ice, one of water. .
Sasha Riggs is a reclusive artist, haunted by dreams and nightmares that she turns into extraordinary paintings. 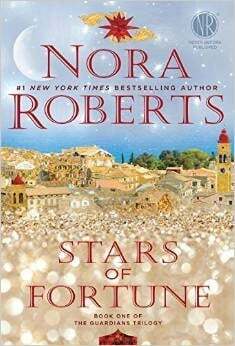 Her visions lead her to the Greek island of Corfu, where five others have been lured to seek the fire star. Sasha recognizes them, because she has drawn them: a magician, an archaeologist, a wanderer, a fighter, a loner. All on a quest. All with secrets. Sasha is the one who holds them together—the seer. And in the magician, Bran Killian, she sees a man of immense power and compassion. As Sasha struggles with her rare ability, Bran is there to support her, challenge her, and believe in her.